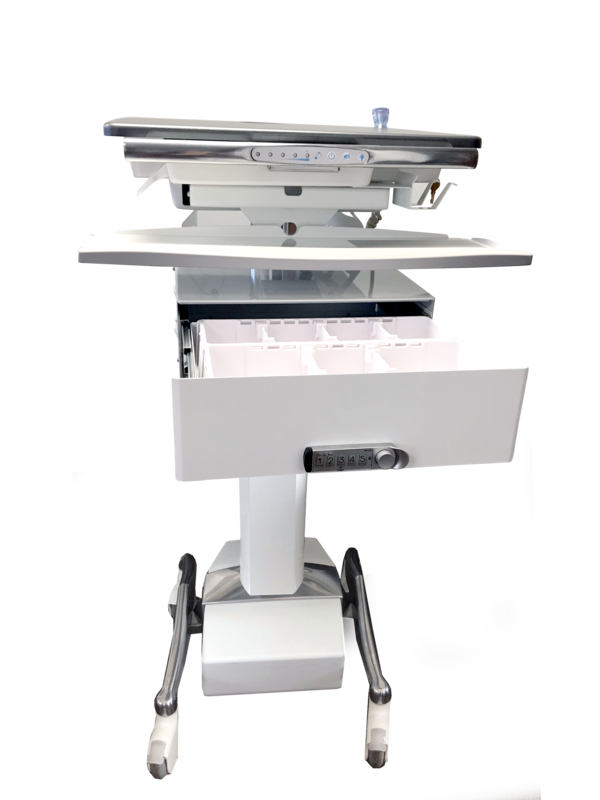 Work Surface Mounted Single Drawer: DSW | Altus, Inc. Enhance your Medical IT Cart. Additional storage in the mounted single drawer is there to host supplies and medication securely. Why spend more time going to the pharmacy or supply room when you can have the supplies on deck? Secure Storage Solutions. This locking drawer mounts to the front of the mobile cart worksurface. Well ordered workstation. Work Surface Mounted Single version provides two bins with 2 adjustable bin dividers in each. Take it a step further – label these bins for more organization.